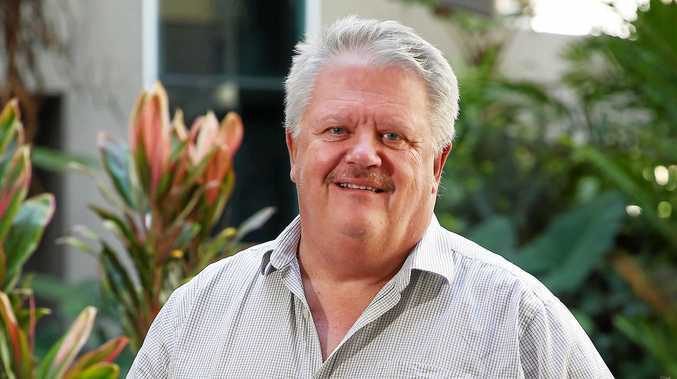 A POWERFUL local government body has slammed politicians of all colours - saying they are ignoring local community needs. The Local Government Association of Queensland will today release its first Local Community Report Card of the Federal Election campaign. The LNP, the Greens and Katter's Australian Party shared top place with a C- overall. One Nation and Clive Palmer's United Australia Party were given a D.
The LGAQ analysis graded parties for a fairer share of taxation for councils, road safety and infrastructure, support for indigenous communities, disaster mitigation, planning for a zero-waste future, Great Barrier Reef and environment policy and for helping to develop smarter communities. The LNP and Katter scored the highest on a single topic. The LNP got a C+ for its road and safety infrastructure policies. Katter got its C+ for its indigenous communities policy. 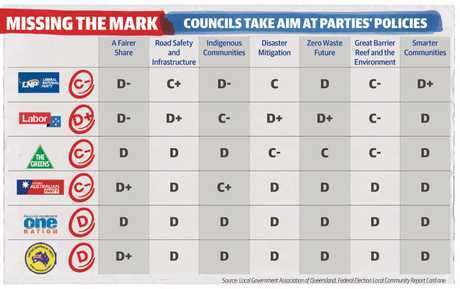 No other party scored above a C.
One Nation received straight Ds. LGAQ CEO Greg Hallam said no party's local government policies were up to scratch. "If this was the report card your kid came home from school with you'd be a bit concerned,” he said. "These are national issues and they are true for local governments across the country. Mr Hallam said councils across Australia desperately needed funding increased to 1 per cent of the federal tax base. Local government funding was traditionally at that mark but had been slashed to about 0.55 per cent of the federal tax base in recent years. "This is a concern for councils across Australia,” he said. "Whether you are large or small, cuts to local government funding mean there are things now that you just can't afford.